I have had a rough week. I started thinking about what started it all and how one thing led to the next and remembered that usually, when one aspect of my life starts to falter, the others follow suit. I cried on Monday because a close family friend shared her experience with me of waiting two years after she was married to start trying for babies. She knew our plans of trying about a year after being married and wanted to give me some advice (I guess?). I am too sensitive, as my friends and family know, and it kind of sent me into doubt-ville. Tuesday, a crazy driver sent me over the edge and I behaved like a child, then was terrified he would hunt me down and murder me. Wednesday, I was observed while showing a movie and grading papers. Mind you, the class in question had already taken their final, had grades entered, and had not begun the new semester. I wasn’t sure what I was supposed to do with them as they knew nothing counted until Monday. Still, I definitely felt ashamed and angry at being observed that day. Thursday, my husband and I were supposed to have a romantic dinner with wine. I drank some wine, but was so tense from all that my week had dealt me that I couldn’t relax. I hurt his feelings and went to bed depressed. Today, I am trying to turn it all around. I did some fun lessons with my classes, even though the new semester doesn’t start until Monday and all my grades had to be in at 10:00am today. My husband is taking me out to dinner and I am going to nap beforehand so I’m not a cranky mess. 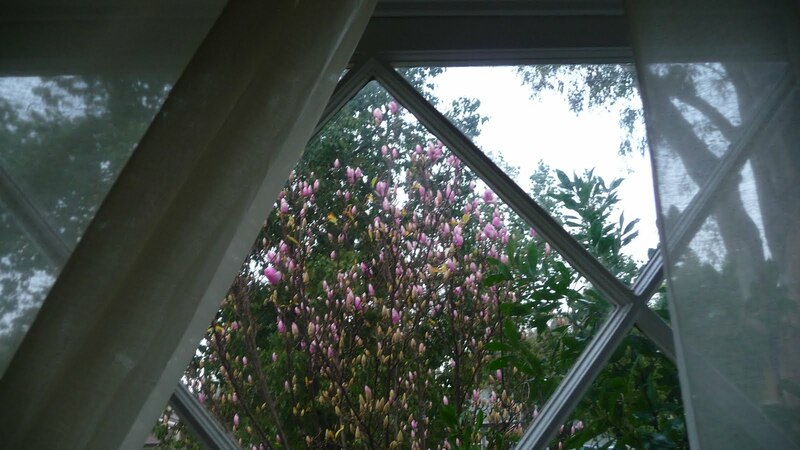 I got home and noticed that the tree in front of our office window is starting to bloom. With this pretty little preview of spring, I am looking ahead and leaving this terrible, horrible, no good, very bad* week behind. What do you do when you have a bad day/week? *I know I lead a charmed life when I say that this was a terrible week for me. I know that others have it worse and I am thankful this was as bad as it gets for me.